Newly renovated, Non-Smoking home with THREE kings, two twin beds,and 2 full beds. All bedrooms are large. Full kitchen, dining area looks out over sand dunes and beach. 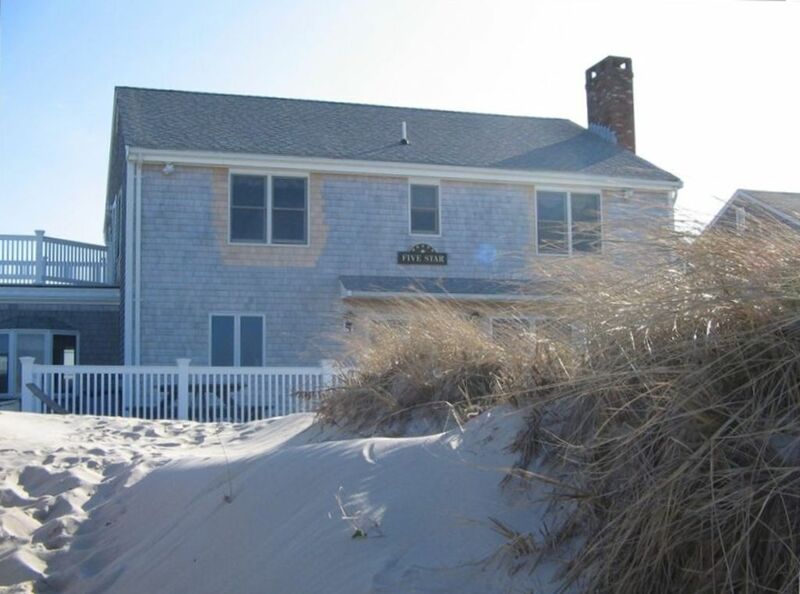 Large 40 x 25 foot deck, step off it and you are on the dunes. Two-story colonial home. Pergo and porcelian tile floors, stone fireplace. Great vacation retreat. On the 6-A side of Cape Cod, away from all the traffic. Just ten miles from the Bourne Bridge. You must supply your own linens as per Massachusetts Law. Sorry, No Pets. Maintained constantly, Upgraded yearly, nothing to want! Oceanfront on Cape Cod Bay! When the tide is out sandbar is almost forever! Parking for 4 cars, on street for ant additional.